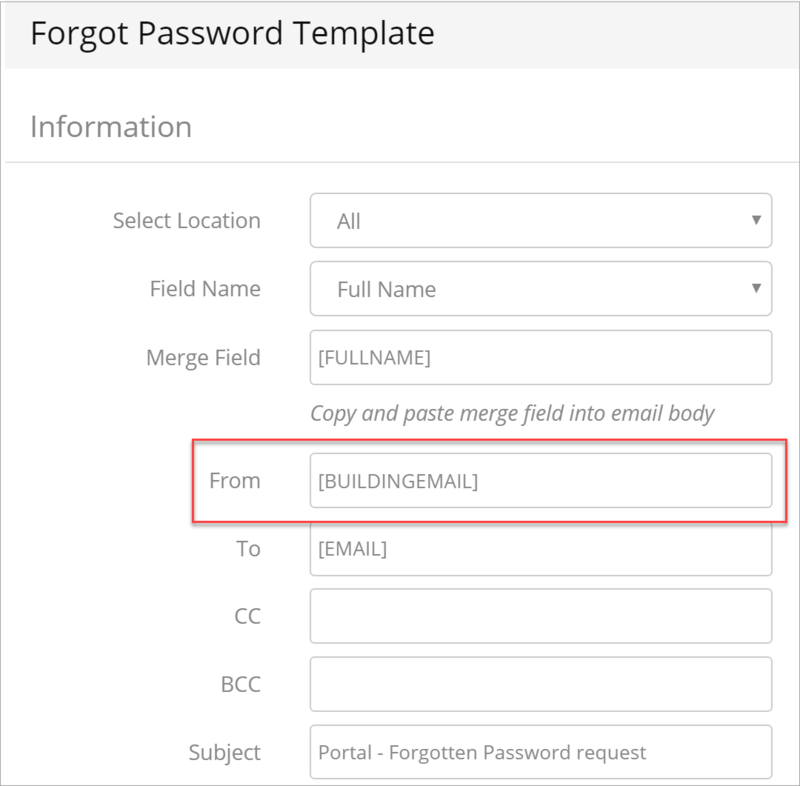 Please check that the template you're using for this email contains an email address or merge field in the From field. To do this, go to Settings > General > Templatesv > Email Templates > Select the Forgot Password Template and edit it. If there is no sender email or merge field added, please add one so the emails can be sent. Learn more about Managing Email Templates within Operate.